It’s incredibly difficult to please everybody when designing a game. Different gamers want different things; be it a challenging experience, a high fun-factor, an impressive tactical depth, a great story, or something else entirely. 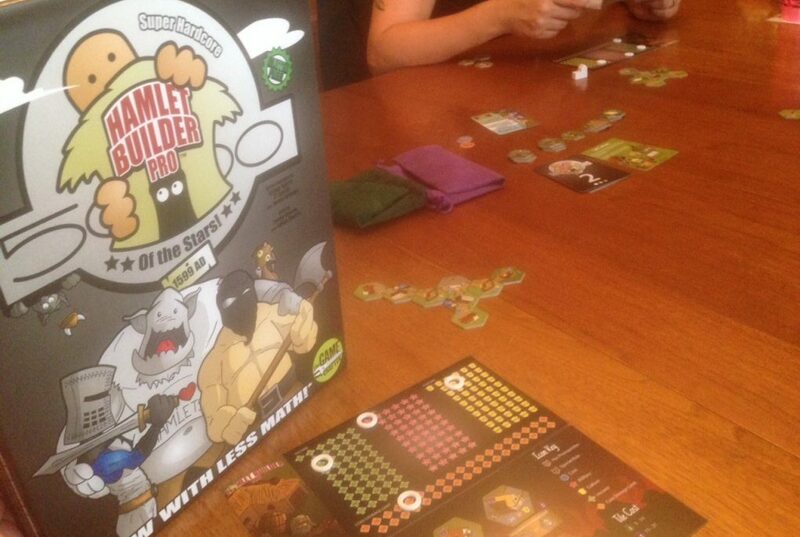 The folks behind Hamlet Builder Pro (The game’s full name is far too long and unwieldy to type more than once.) aren’t trying to please everyone. 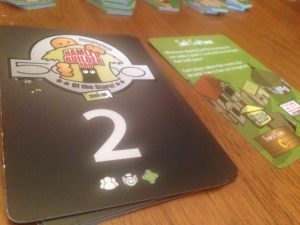 Instead, they created a fast-paced city-building game with plenty of randomness and customizable degrees of difficulty. Basically, they managed to make a tabletop game that feels like a PC game and can be enjoyed either alone or with up to five friends. The game is played over seven rounds, each begins with the flip of a card, with different win conditions applied to each round. While revealing Bountiful Harvest allows everyone to collect their income twice, the Taxes card forces players to discard a number of coins equal to their Military and Culture values. Players then blindly draw three building tiles either from the 1-point or 2-point tile bags. Alternatively, they can choose a single 0-point value tiles from a stockpile that everyone sees. These tiles often end up being critical prerequisites to placing more expensive tiles later in the game. Players then use their accumulated coins to pay to place tiles in their hamlets. Once tile placement has finished, players pass their remaining unbuilt tiles to the person on their left. This seemingly adds a great element of randomness to the game but can also provide tactical opportunities to truly screw over opponents. 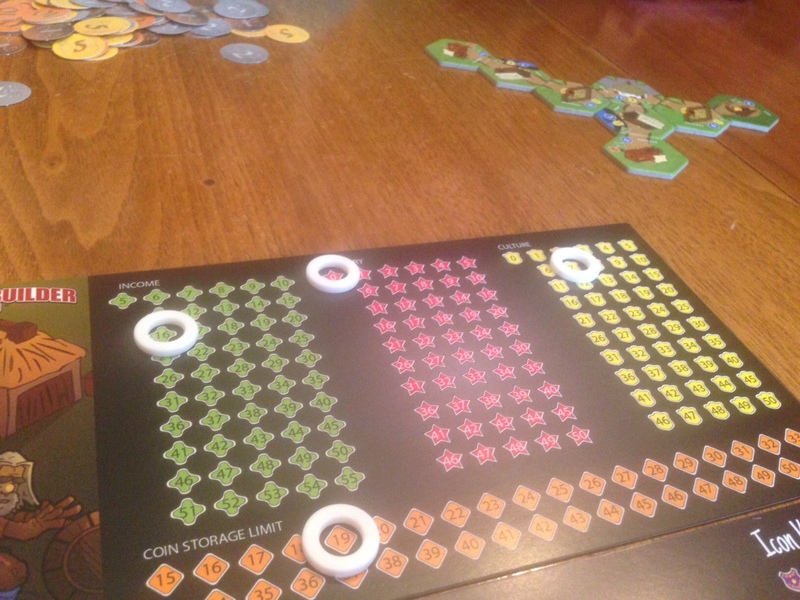 Tiles offer ways to improve players’ Income, Military, Culture, and Coin Storage Limit. The winner is determined by adding up the point values of tiles in one’s hamlet plus Culture and Military values. If Hamlet Builder Pro sounds incredibly straightforward, that’s because it is. Much of its brilliance is rooted in the game’s simplicity. Experienced players will easily fall into the flow of its gameplay after a few rounds. They’ll soon figure out when to stockpile coins, which 0-point tiles are crucial to their strategies, and how to make the most out of their randomly drawn tiles. There is, however, more depth than initially meets the eye. High cost tiles often require prerequisites or feature special rules. For example, the Blacksmith provides a terrific boost to both Military and Income. However, a Smelt must exist somewhere in a player’s hamlet before the Blacksmith can be placed. Additionally, the Smelt requires a 0-point Mining Camp in the hamlet. Inspired planning is easily thwarted by the luck of the draw, but not so much so that tactical thinking becomes pointless.